Chrissy Teigen is an absolute boss on social media, with almost 17 million Instagram followers and the most savage comebacks on Twitter, but even the no-filter supermodel, businesswoman and mom (with another on the way!) has some advice she’d tell her younger self through the years. "GMA" sat down with the 32-year-old and took a trip down memory lane, where Teigen reflected on different stages of her life, who influenced her and what advice she would give to her younger self now and to her children. 1. Cherish moments with the people you love. Teigen said that as a child, she loved fishing with her father -- an experience that taught her the value of spending special quality time with loved ones. She also joked about breaking the fishing line each and every time, but that didn't stop the sweet duo from sharing some precious father-daughter time together. 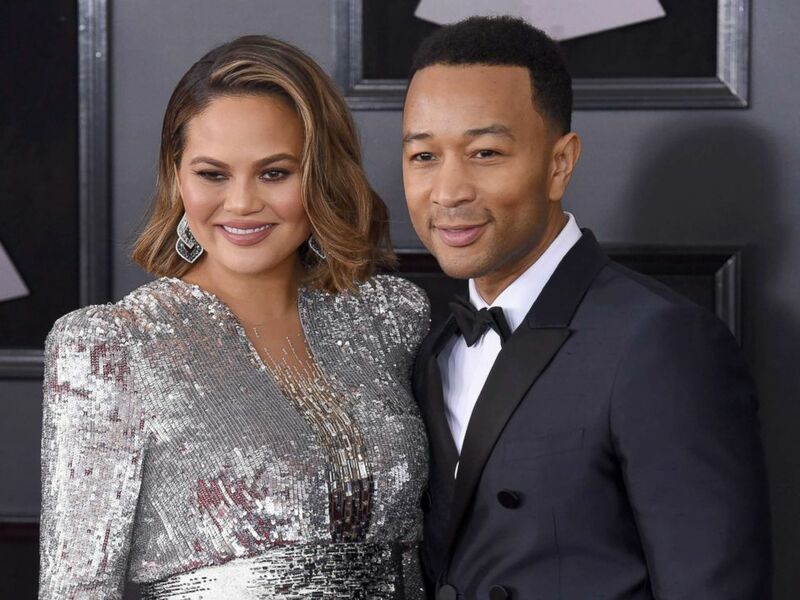 "Luna is such a daddy's girl and she loves being with [Teigen's husband, singer John Legend], but there's something really special when we get to go out on our own together," she said. "It's nice to feel like they need you and I feel like when we are just one-on-one with each other, it's really great. And obviously grandma lives with us, so it's nice to get away from everybody and be able to kind of just hang out." Teigen also laughed at a photo of her and her mom sporting similar haircuts. "I think she did that on purpose. My mom got a perm, so I had to get the perm too. She cut her hair, so I had to cut my hair," she said. "I think it's really important to stay really close with your family and take a lot of good memories with them." Teigen shared a hilarious photo of her as a kid at DisneyLand, falling down headfirst after enjoying a quick ride on a slide. "I think kids should be kids and I think kids have to grow up really quickly these days," she added. "They are dealing with stuff we did not have to deal with. The pressures of social media and high school is such a trip now for kids, and I just feel like I was always so goofy and always doing ridiculous things." She continued, "Definitely, keep them goofy, keep them fun." 3. Don’t try so hard. Teigen said before she was a social media icon with a stylist, she put together outfits out of odds and ends from lines like American Apparel and Urban Outfitters and guess what ... her future husband John Legend still "loved me!" Chrissy Teigen and John Legend at Merkato 55, Dec. 28, 2007, in New York City. "So my advice would be not to try so hard," she said. 4. Embrace the magic of pregnancy. "I loved being pregnant and I love babies ... there was something about being pregnant, where you just feel so free in a way. Your body changes so much and I just thought it was so, so fascinating. And I really, really enjoy it, sickly," she gushed. "I think I would be pregnant for the rest of my life if I could." Though Teigen acknowledged that pregnancy can be difficult for some women, she advised others to "really try to enjoy the experience." "For all you're doing for them, I think it's really a beautiful thing to try and embrace the experience, even when it's really tough because it's kind of magical," she said. The newly-announced creative consultant for Pampers also took the time to share her hopes for daughter Luna and her unborn son, due to arrive later this year. 5. Luna, keep your sense of humor. Though she feels like her daughter teaches her so much, Teigen's advice to Luna would be, "Really enjoy the time of being young and being free, and saying whatever you want!" At just two years old, Luna has a "natural sense of humor," Teigen said, adding: "She has this intense desire to make people really, really happy and make them laugh ... If she says one thing and you laugh, she says it again and again. She gets so happy from that reaction. It's really so cute and so special." 6. To baby boy onboard, champion women like your dad. As for advice for her baby boy on the way, she said he has the best example in his father on how to grow up to be an "incredible gentleman." "[John] really is such a champion for women, he surrounds himself with really, really wonderful, strong women ... he's always been really incredible at that," she said. "And I think that this baby boy is going to see exactly how to treat a woman just in the way John treats me every single day. We're equals, we're partners, we fight for each other." Chrissy Teigen and John Legend attends the 60th annual Grammy Awards at Madison Square Garden, Jan. 28, 2018, in New York City.